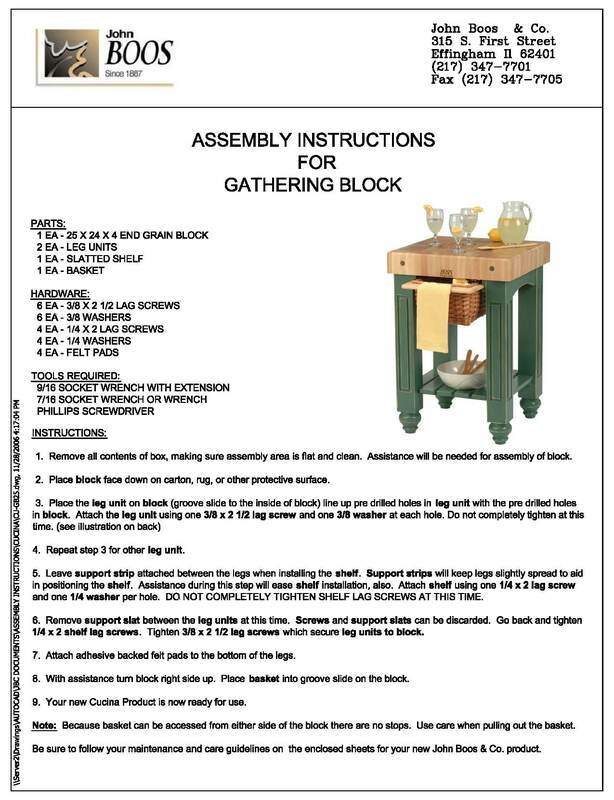 Some Boos Blocks and tables ship unassembled. 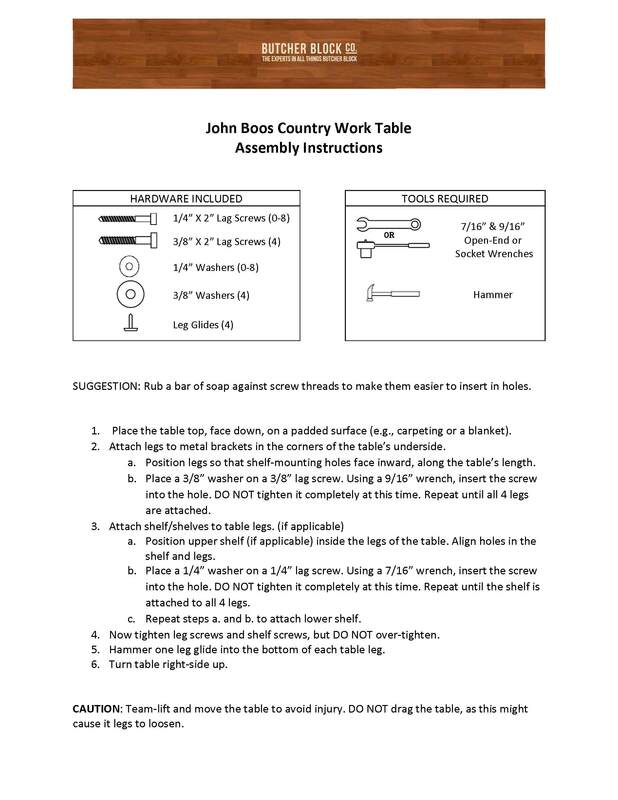 Typically, the assembly process will involve attaching legs and shelves using hardware that is supplied and simple household tools (e.g., wrench, screw driver, hammer). 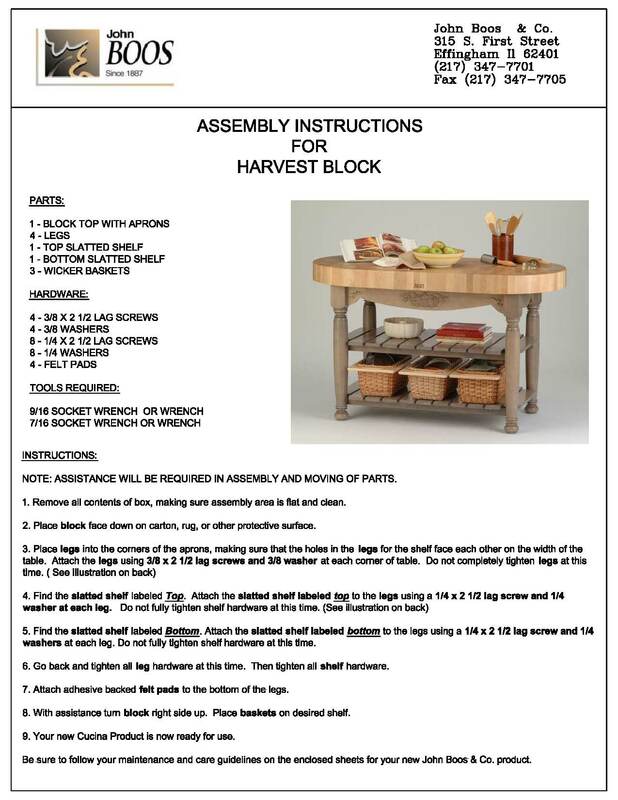 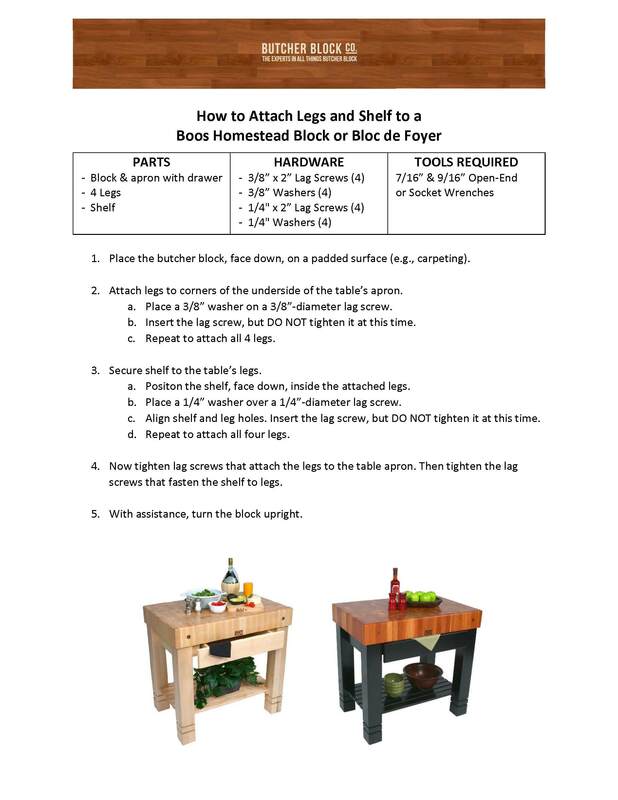 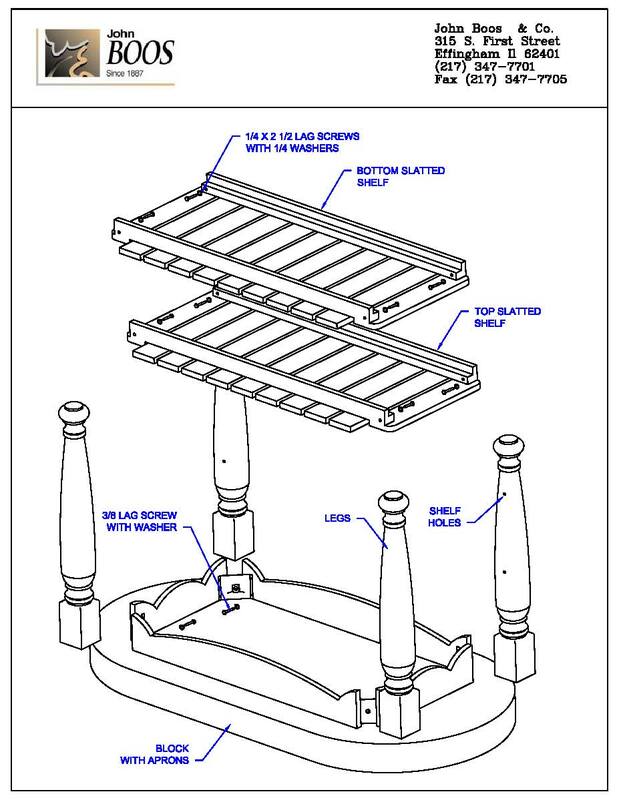 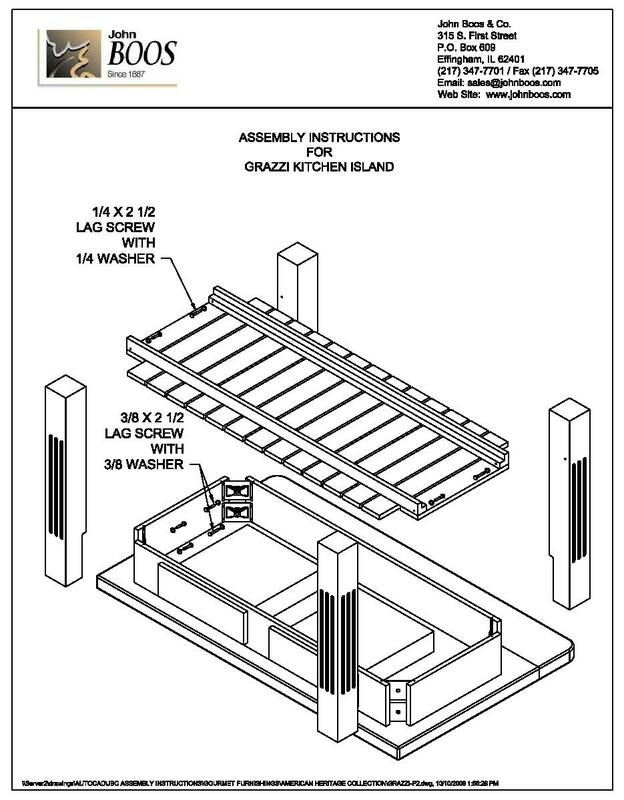 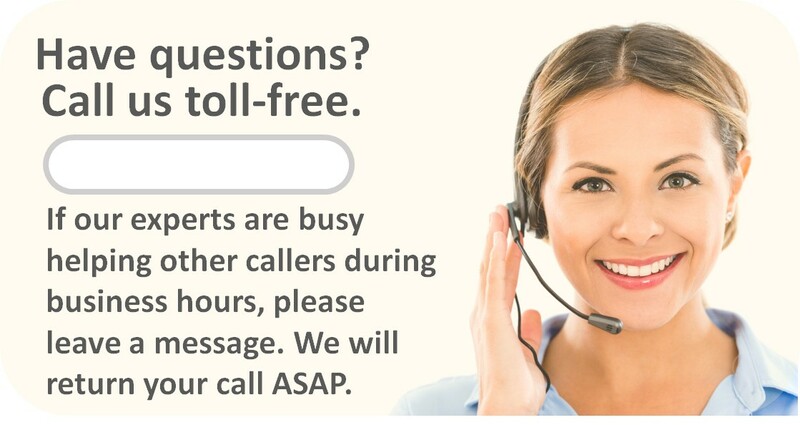 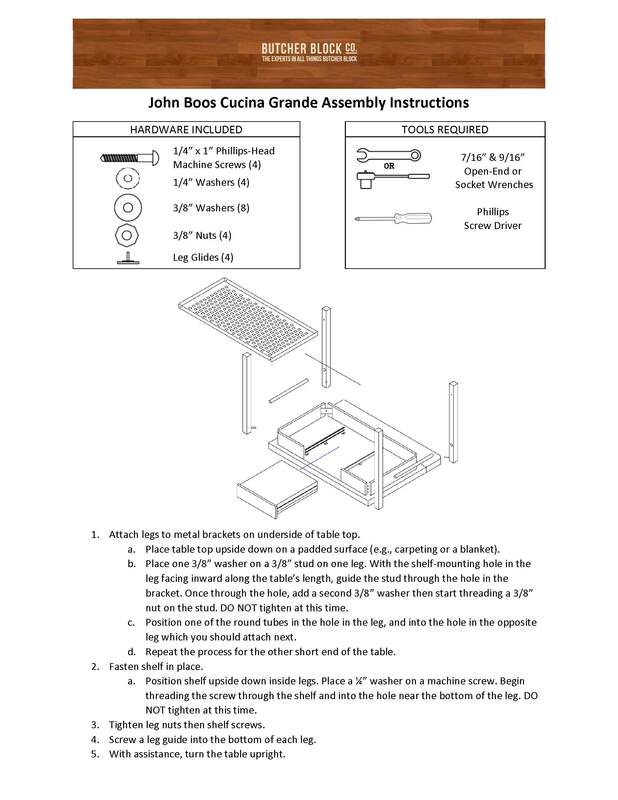 If a Boos table or butcher block requires assembly, this is noted on its product page. 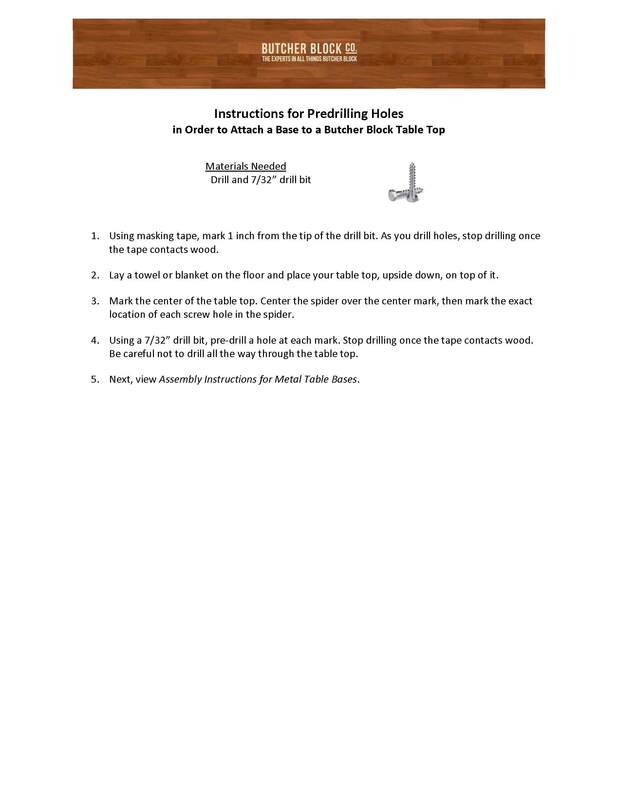 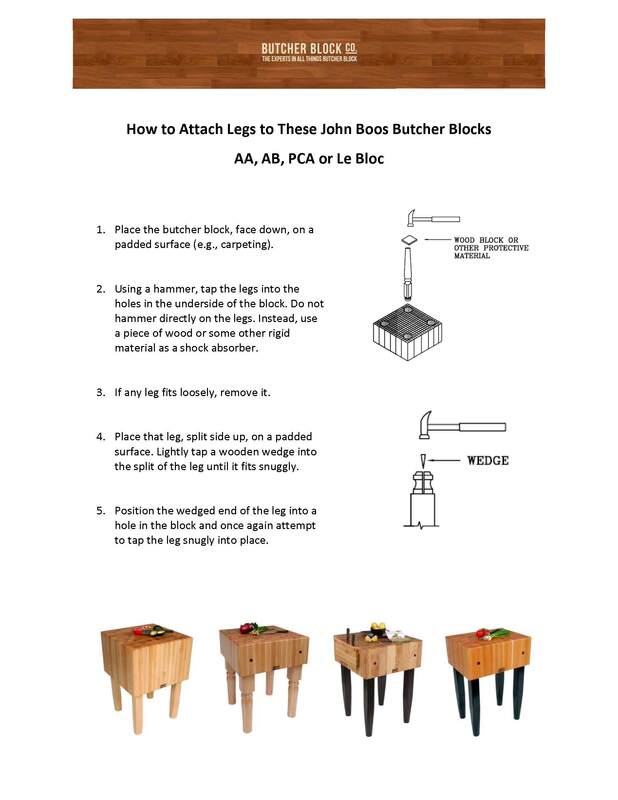 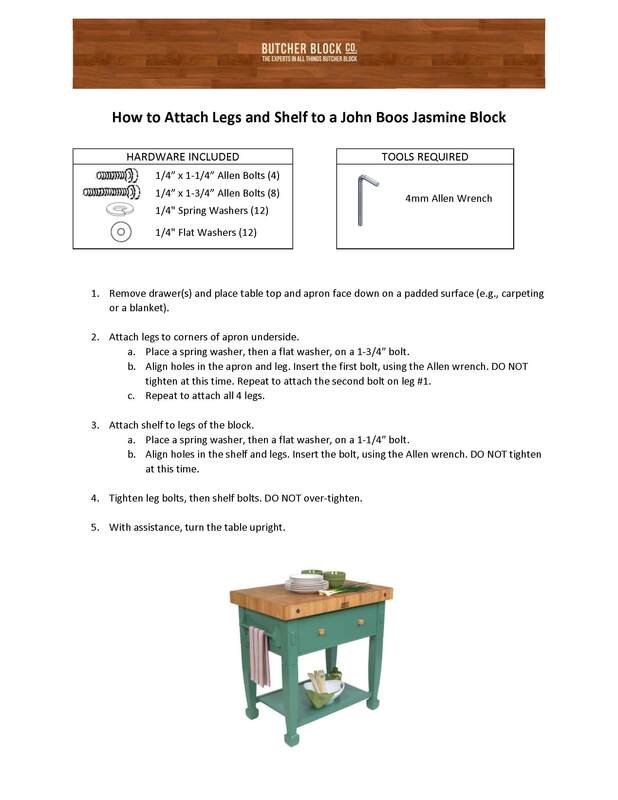 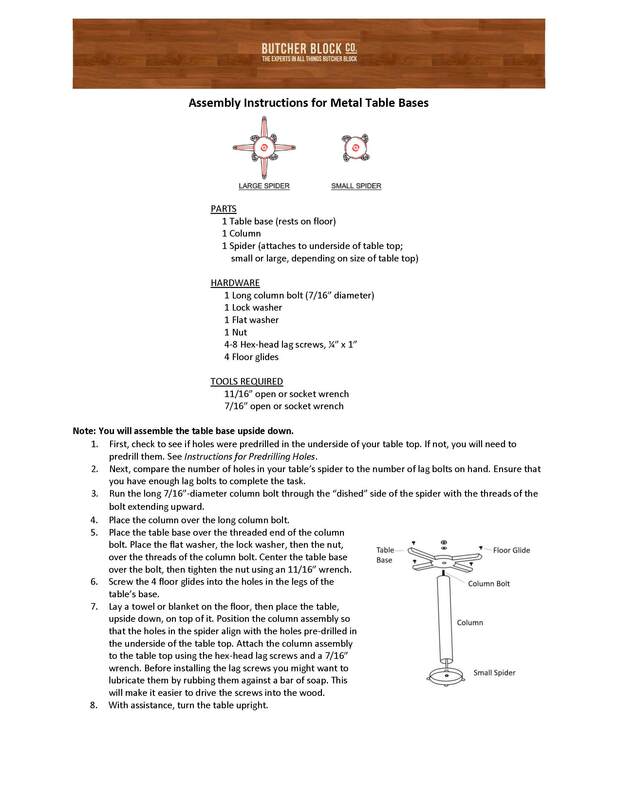 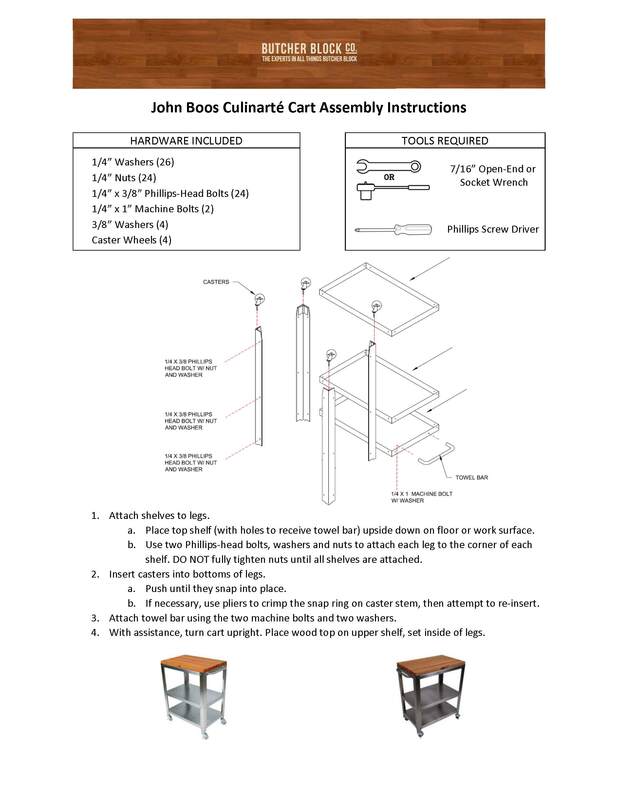 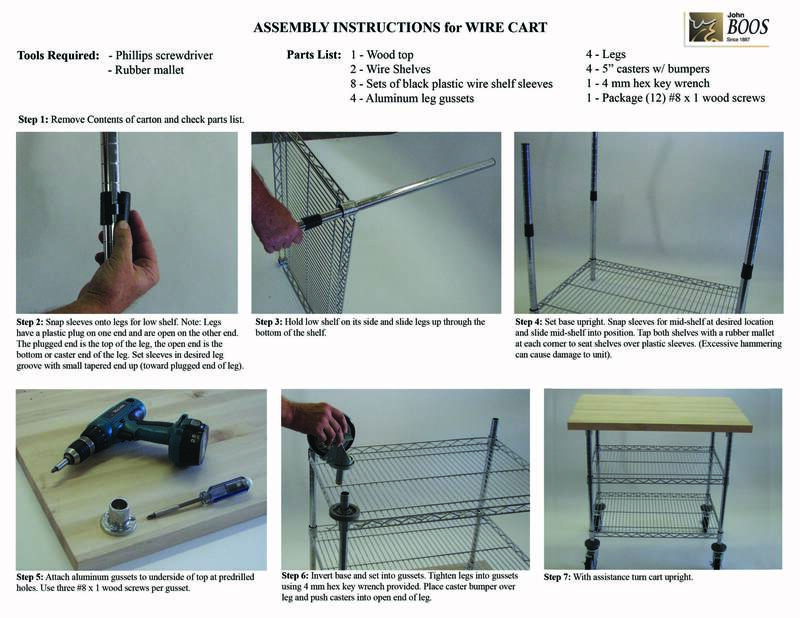 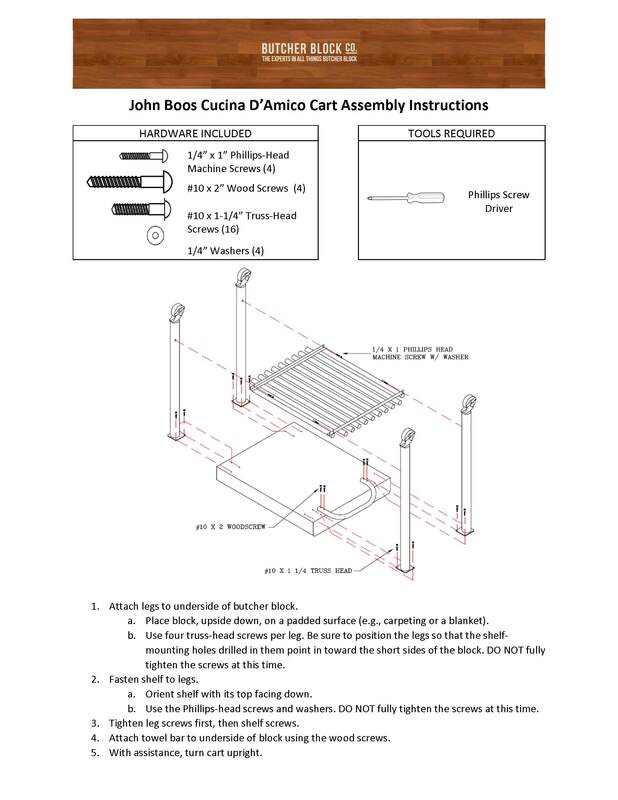 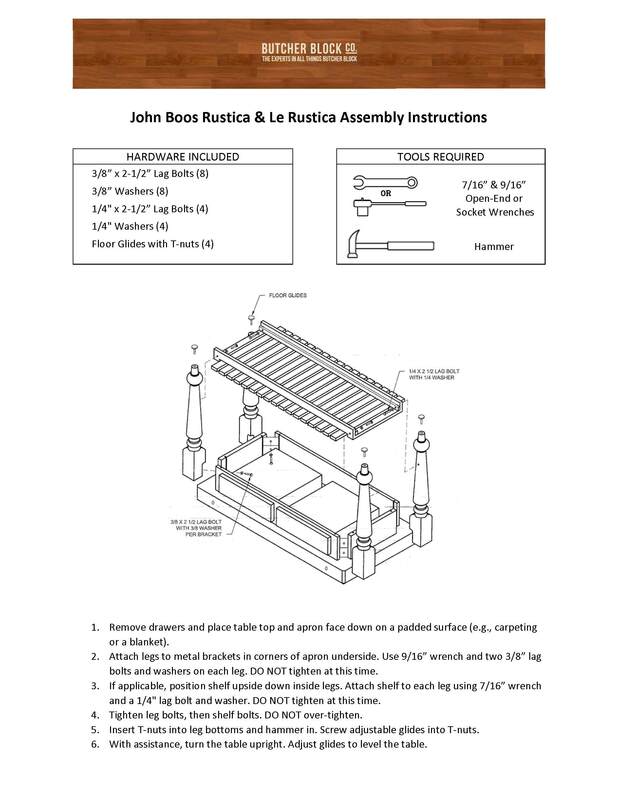 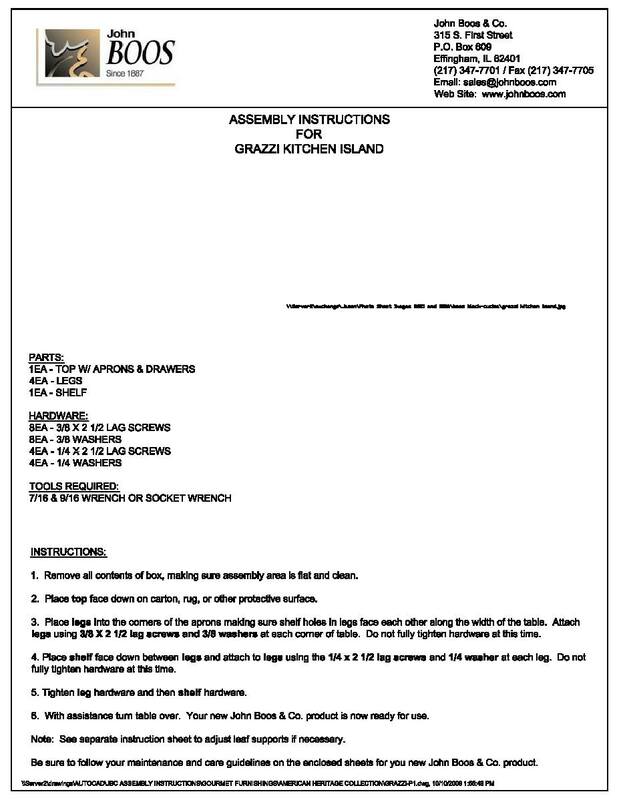 View instructions for the assembly of many John Boos products below.